The Pyrenees are seeing some of their biggest snowfalls for three months. 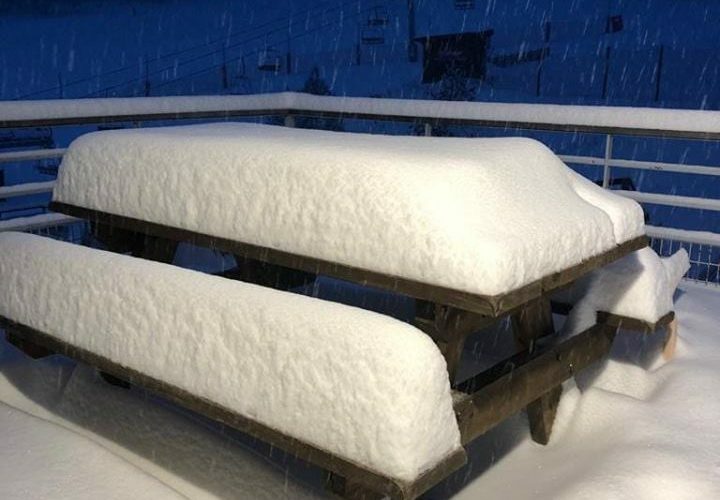 The French resort of Cauterets reports 50-70cm of fresh snow has fallen in the past 24 hours and other ski areas in the region have reported 30-40cm accumulations so far this morning. Currently, there are blizzard conditions in many areas and some ski centres are closing their slopes for the day. “The Cirque du Lys ski area is closed for the day due to strong winds and high avalanche risk following the accumulation of 50 to 70 cm of snow since that night,” a Cauterets statement reads. The new snow follows heavy snow on Sunday/Monday meaning resorts have had up to 65cm (26 inches) of snow in the past 72 hours. Cauterets reports 65cm, Les Angles and Luchon Superbagnères 60cm and Piau Engaly and Formigueres (pictured top) 55cm. The Pyrenees had had little snowfall since a huge snowfall in late October led several ski areas to open early for the season. With little snow in December and the first half of January some smaller resorts could only open limited terrain although big resorts in Andorra were keen to stress they were 80-90% open thanks to snow left from the early big storms and their snowmaking efforts. Snow depths are therefore currently modest with most having 50-100cm of snow lying on higher slopes compared to 2-3 metres in the Western Alps and 3-6 metres in the Eastern Alps. However those depths look set to grow fast over the final week of January. Forecasters now expect it to stay snowy for the week ahead with further accumulations of up to 70cm in Andorra. However some of the biggest totals are forecast for the Spanish side of the mountains where a week of heavy snowfall may bring up to 1.3 metres of snow (over four feet), forecasters believe.